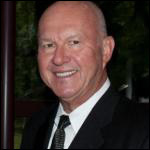 Sammy has over 38 years of sales and marketing leadership, while owning and operating a number of businesses. He has held many local and regional positions of leadership and is heavily involved in the Greenwood, SC community. For instance, his 28 years spent as a soccer coach led him to sell a line of healthy beverages he felt his team needed. Sammy has been active in the community, previously serving as president of the Uptown Greenwood Development Community. Sammy was a professional soccer player with the Chicago Pampas FC when they won the NSL Championship and he was named a member of the 1984 Chicago All Star Team. John has been an impact player throughout his career. Whether it was becoming the youngest Sales Trainer in the history of Pepsi, training the entire Food Service organization after just 3 years with the Company, to receiving the MUGM of the year award, excellence has always been at the forefront. The scale of this last Pepsi assignment, coordinating Sales and Operations for over 1.2 billion cases in what were specifically created roles for key individuals, demonstrates an ability to handle scale and complexity at the highest level of performance. Dealing with a franchise and co-op system and a myriad of local and national customers required influencing skills and business acumen developed over numerous years and positions at one of the leading consumer product companies in the world. Most significantly, communication and presentation skills have always been a strength from Teamsters negotiations to leading sessions with CVC and Quilvest regarding Bevco’s and Nutravest’s acquisition strategies. The role of leader and teacher are the overriding themes in every assignment. 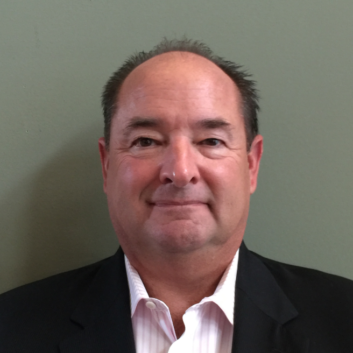 Jim Bundren brings over thirty years of experience to his role as Director of Retail Sales for Hydro One, LLC. Jim started his career at Pepsi-Cola Bottling and spent the next 10 years in key account management , strategic channel development and cross channel selling roles. Jim moved into a national account sales role with Pepsi-Cola North America and was instrumental in developing a national team selling to Walmart Regional and Divisional Vice Presidents, along with negotiating with Pepsi-Cola franchise bottling partners. Jim was promoted to a Director with the Quaker, Tropicana, Gatorade division of PepsiCo. Jim spent the last 13 years in Director of Sales and Director of Operations roles across multiple channels of business. During his tenure, Jim achieved the highest awards at PepsiCo, the Chairman’s Award and PepsiCo Ring of Honor, on multiple occasions spanning several PepsiCo CEO’s. Jim’s success has been driven by his strong ability to build rapport with his customers, develop talent for the organization and lead high performance teams. His knowledge and leadership of multiple go to market systems across various business channels, and his maniacal drive for results. Jim’s career was rounded out by his co-creation of PepsiCo North America Nutrition’s philanthropy, PEPgives, and his dedication to helping families and children in need. His leadership in this area was rewarded with PepsiCo’s Harvey C. Russell Chairman’s Award on two occasions. Mr. Schwallie was the Executive Vice President of Corporate Development for SCRA, where he oversaw strategic direction and business development activities. His primary focus was to diversify the business mix of SCRA to better position the site for future growth. Mr. Schwallie also oversaw the transformation of the South Carolina Biotechnology Incubation Program, where he served as CEO, into the South Carolina Biotechnology Center (SC Bio) and through the merger with SCRA. The organization was chartered to develop the life sciences sector, from medical devices to bio-remediation, in the state of South Carolina. This experience and the relationships formed serve Hydro One well in his leadership role. 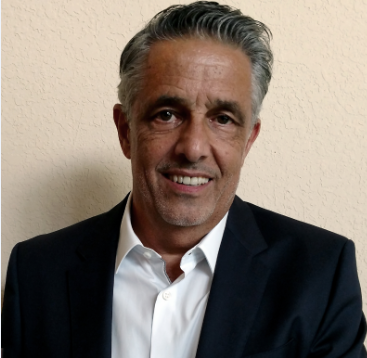 Ricardo Carvalho is Founder and President of Carvalho & Associates International, Inc. (CAI), an Atlanta-based development consultancy serving a wide range of U.S. and international clients. With well over 30 years of international business development and marketing, Ricardo has established himself as an economic ambassador by developing operations, partnerships, alliances, and mergers and acquisitions for a multitude of dynamic Fortune 500 companies. Prior to forming CAI, Ricardo was a key member of Coca-Cola’s leadership team directing the Company’s international marketing and development programs in Latin America. He played a major role in extending the Coca-Cola brand and their market leadership operations. Ricardo holds a law degree from the University of Vila Velha, in Brazil, as well as a Business Administration / International Business degree from Oglethorpe University, in Atlanta. 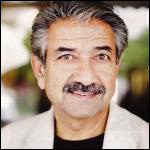 He is a senior member of the prestigious Strategic Coach’ Masters program for successful worldwide entrepreneurs and currently serves on the board of directors for a variety of health-related corporations and organizations. A triathlete, he has also been an adviser on committees for the Olympics. 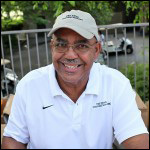 Coach Curtis Frye has been the head coach for the University of South Carolina Track and Field teams for the past twenty years. Coach Frye served as an assistant coach for the United States women’s track and field team at the 2004 Summer Olympics in Athens, Greece, and will be coaching the men’s sprinters and hurdlers for Team USA at the Summer Olympics in Rio de Janeiro 2016. Curtis Frye and his wife Wilma started The Frye Foundation in 2011 (www.thefryefoundation.org). A nonprofit organization, The Frye Foundation is dedicated to the assistance of persons and their families that deal with diabetes and mental illnesses, as well as other charitable causes. 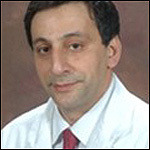 Babak is currently an assistant professor in the Department of Oral Biology within the Medical College of Georgia. Prior to that position he was a research scientist in the Medical College of Georgia Cancer Center. Babak has a Ph.D. in Medical Bacteriology from the University of London, Postdoctoral Fellowship in Molecular Immunology from the Medical College of Georgia, and a Masters of Business Administration from Augusta State University. He is considered one of the leading international research scientists within the oral, molecular medicine and genetics and also cancer research. 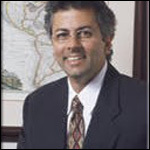 Dr. Mark Fields, Ph.D., M.P.H. Mark, Assistant Professor at Yale University’s School of Medicine, is co-founder and President of Research and Development for Hydro One. 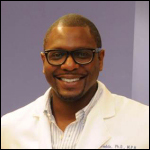 Dr. Fields is currently working in biotechnology in the area of degenerative diseases of the eye. He was an assistant professor of research at the Medical University of South Carolina in regenerative medicine. Mark earned his Ph.D. from the Medical College of Georgia in cellular biology where he focused on the use of novel therapeutics to treat degenerative diseases of the eye. He has also earned his Master’s in Public Health at Columbia University in New York where he focused on health policy and management. He completed his postdoctoral fellowship at Columbia University in New York. At Hydro One, Mark is responsible for research and development of novel and alternative products that address the nutritional needs of individuals with specific diseases. Dr. Thomas B. Stoddard has owned a private practice of general dentistry for 31 years. He received a B.S. degree in Microbiology from Clemson University and a Doctor of Dental Medicine (D.M.D) degree from The Medical University of South Carolina. Dr Stoddard has been a staff member at Self Regional Hospital for 31 years. He has also been a dental consultant and practitioner for Connie Maxwell Children’s Home and National Health Care nursing home for many years as well. He is a member of the American Dental Association, the South Carolina Dental Association, and Past President of the Piedmont Dental Association of South Carolina. 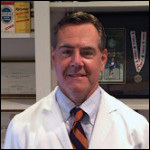 Dr. Stoddard is also a health enthusiast who has completed numerous triathlons including a full iron man distance event in Wilmington, N.C.